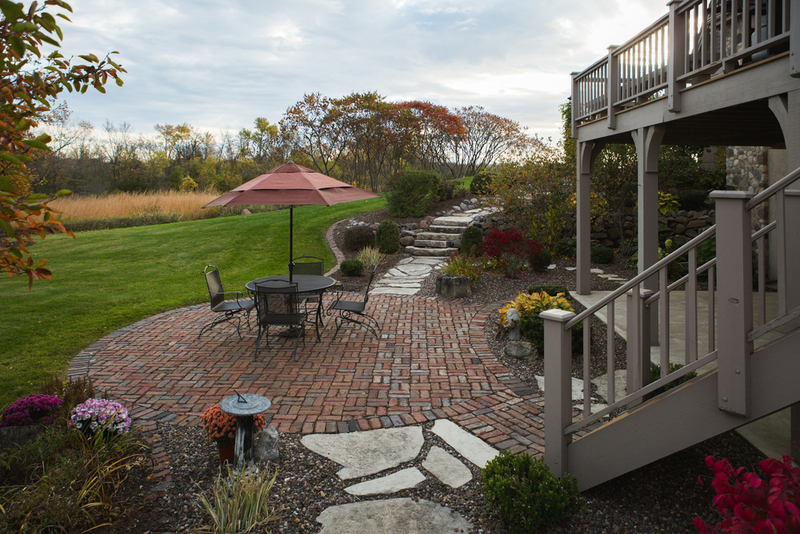 This backyard originally sloped steeply away from the newly constructed house. 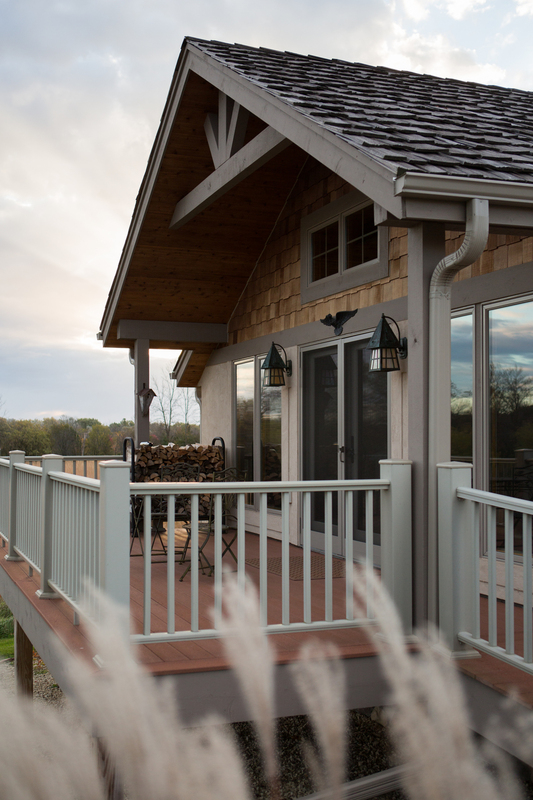 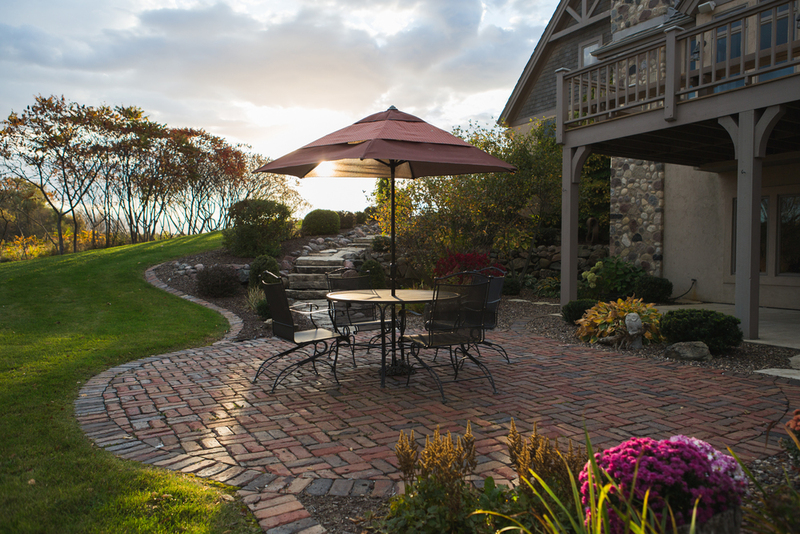 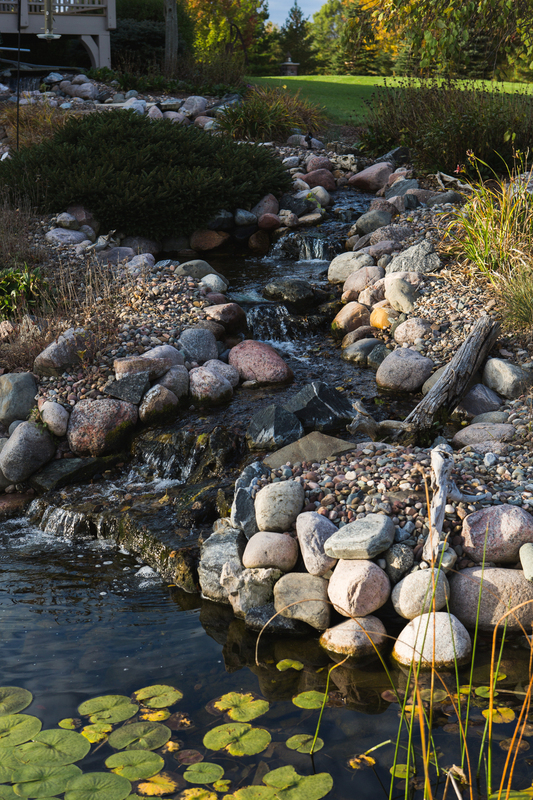 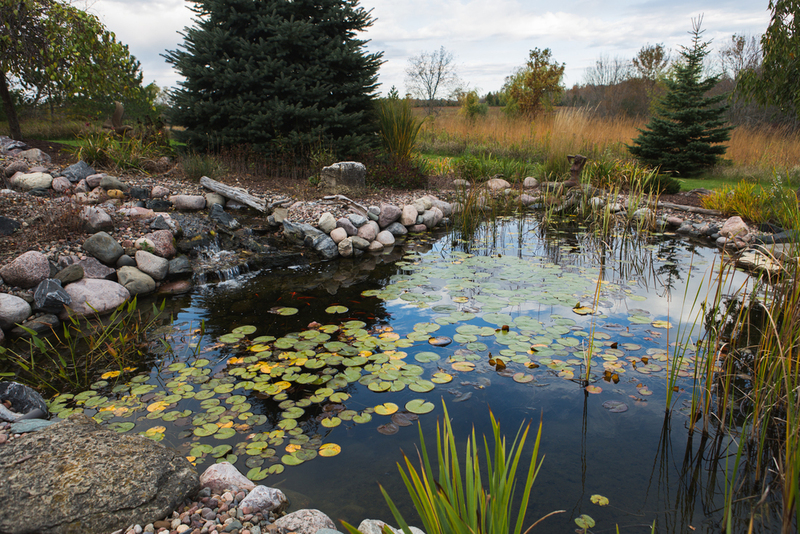 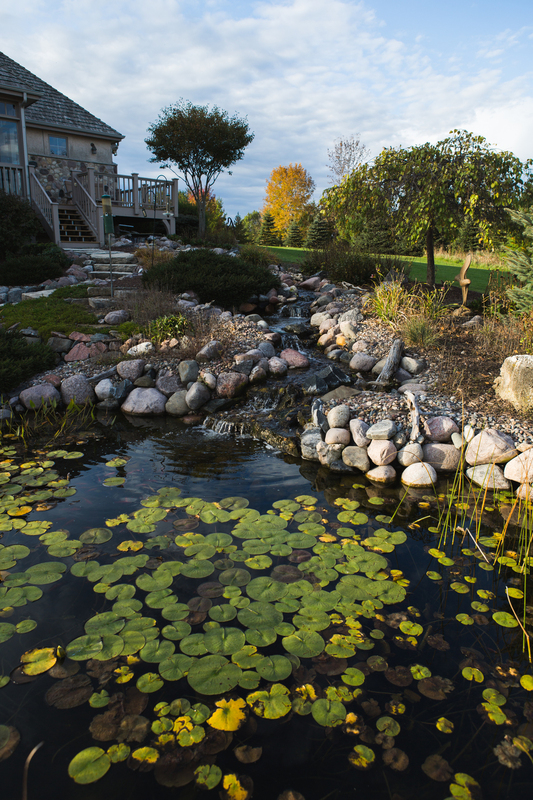 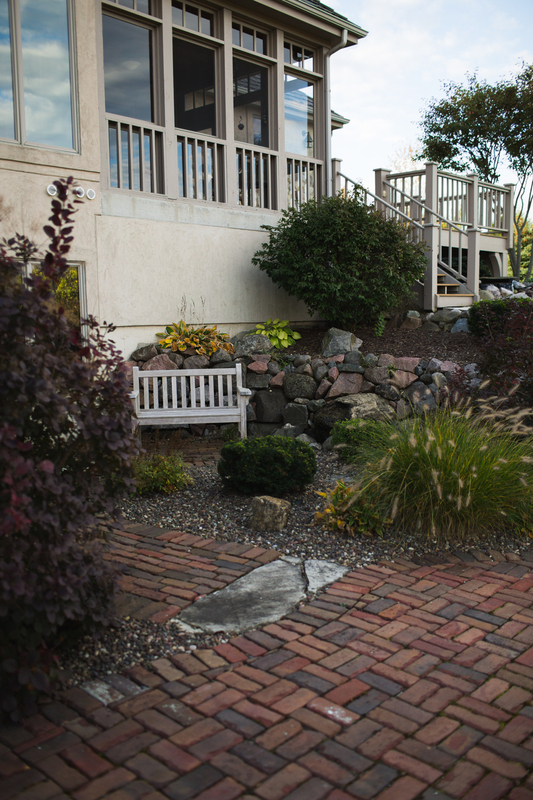 We collaborated with masons, electricians, carpenters and water feature specialists to create an enjoyable backyard space with two patios, a waterfall and pond, and a series of connecting walkways. 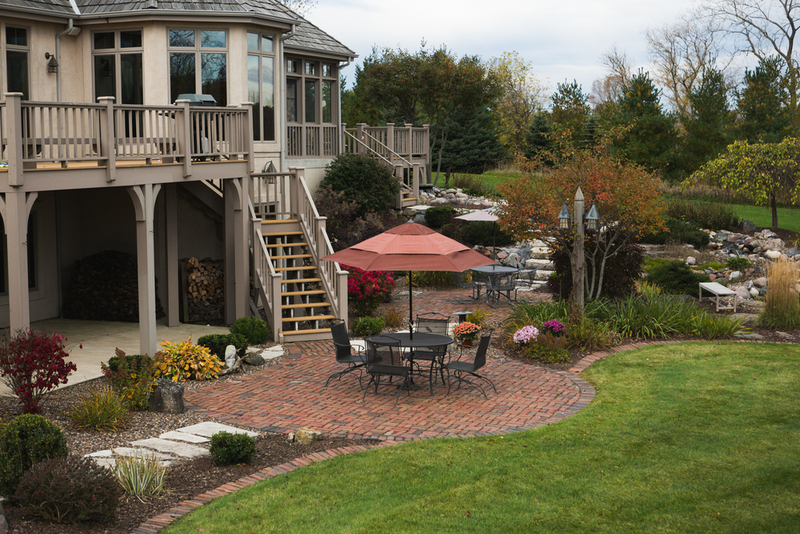 Limestone, granite and brick pavers along with lamppost lights tie in structural elements of the house, while the plantscape provides a color palette of perennials that is ever changing with the seasons. 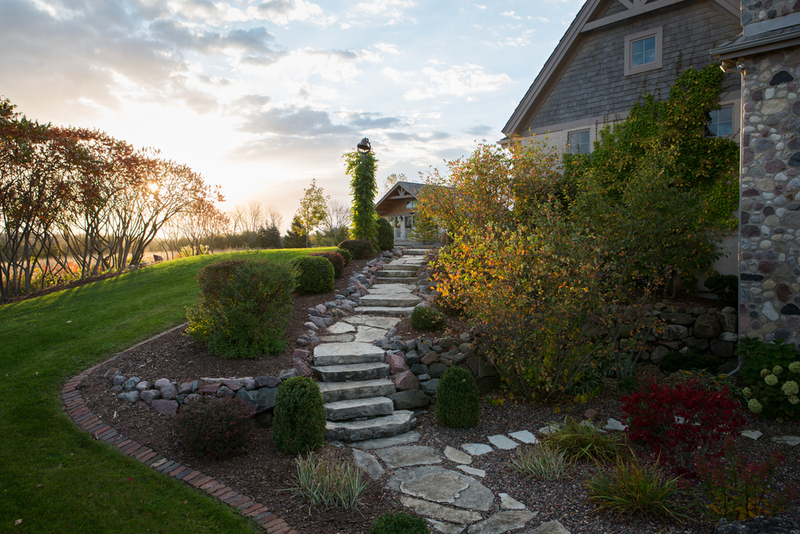 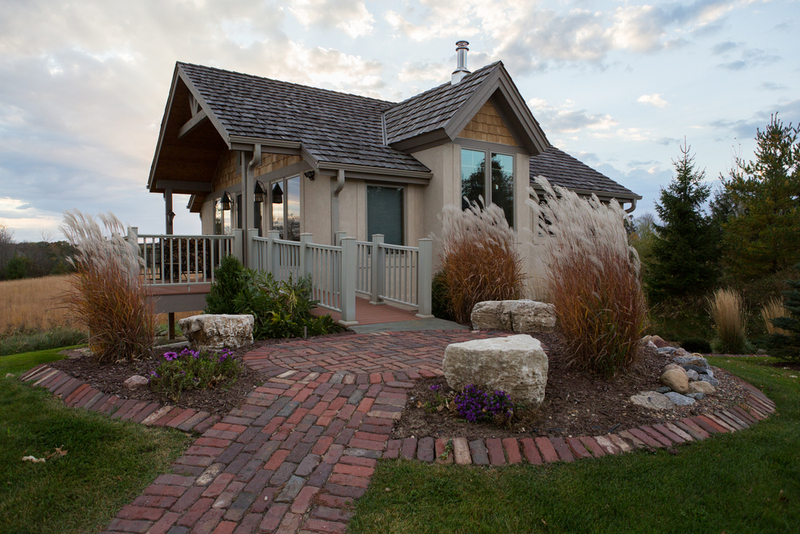 The finished product is a harmonious blend of landscape components, which complement the natural countryside.